Maple Street School needs your help, neighbors! Conversion or Tear Down for Troubled Park Slope Senior Home? 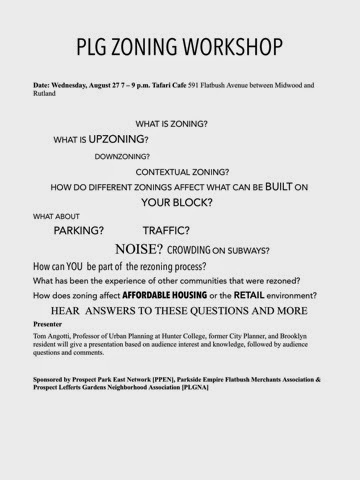 Prospect Park East Network (PPEN) is an organization of concerned residents formed to address this development and the larger concerns it brings, which include the urgent need for contextual zoning and impact studies on such issues as traffic, subways, parking, schools, safety, sanitation, low income and affordable housing, and Prospect Park itself.